A lover of fitness and food - creating and modifying recipes to satisfy an allergy free appetite. Modifying Original Recipes to Fit Your Needs! A blog about healthy eating, healthy living and happiness. Join me and I'll show you how easy it is to substitute, modify and enhance your favorite recipes to accommodate your special diet, all without missing a thing! Ahhh bread... it is quite a luxury when you are gluten-free, dairy-free, and especially yeast-free. I'm sharing this product with you because it truly fits the "well...there goes that" theory I discuss on the main Product Reviews page. Specialty items such as this one tend to be twice the price of their allergy-ridden counterparts, and I strongly believe you have the right to know about the product before you spend twice the dough (no pun intended). 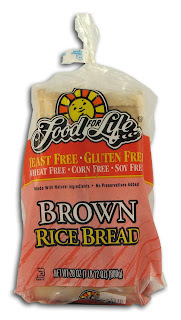 After searching high and low for these "specialty" breads online, reading many ingredient lists in the freezer section of natural food stores, and with the help of a lovely lady at Vitamin Cottage, I found this yeast-free, gluten-free, dairy-free and egg-free bread. Whew! When you pick up the loaf out of the freezer you'll be a bit surprised at the density. This loaf is heavy - plain and simple. It seems like a great thing because you assume there must be tons of protein and fiber in there... right? Well, as with any gluten-free (store-bought) bread, there isn't much of either in these slices. But don't get too upset... if you top it with a nut butter and a banana you'll be ready to tackle the morning! Check out how I do it in my Simple Fulfilling Rice Toast with Sunbutter & Banana. This bread, as with any gluten free bread, stays fresh for much less time than a typical bread. What I like to do is take half the loaf and freeze it for later use. The easiest way to do this is to wrap two pieces at a time in foil. This way when you go to grab your bread from the freezer the portion you want is ready to be popped into the microwave, or placed in the fridge to thaw the night before you plan to eat it. I know, I know... good thinking Melaina! 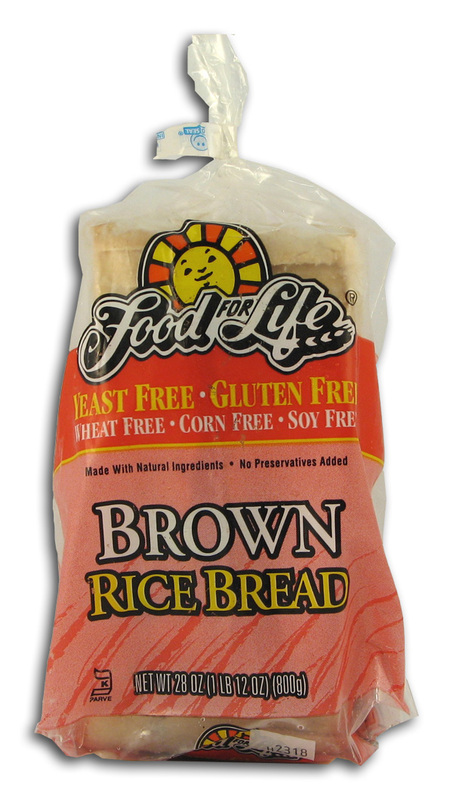 For more information on the Food for Life brand and on this bread loaf click here. A self-proclaimed foodie with a passion for healthy eating, healthy living and happiness. Join me and I'll show you how easy it is to substitute, modify and enhance your favorite recipes to accommodate your special diet, all without missing a thing!